You’ve found what looks like a great image online, but there’s a problem: it’s so lo-res that it’s almost unusable. Google’s image search may be able to help. In Chrome, right-click the picture, select Search Google for Image and click Large, if available, to see higher resolution versions of the same shot. Google’s tools are useful, but TinEye takes it to the next level, locating more images, more precisely, even if they’re cropped or edited. 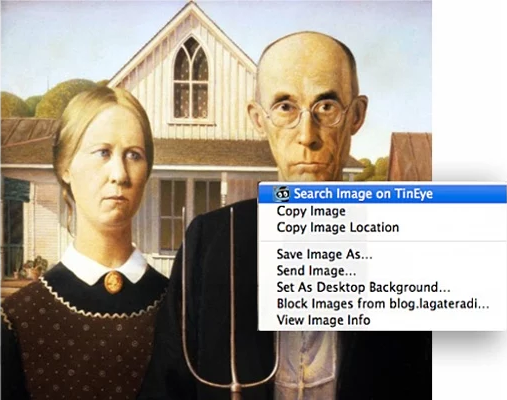 TinEye Reverse Image Search is a free Chrome extension for the service. Installing it gets you a "Search for image on TinEye" option on any web picture, which opens the results in a new tab. What’s immediately interesting is you won’t necessarily see resized duplicates of the same image. TinEye finds similar pictures, too. If the shot was closely cropped to its subject, for instance, TinEye might locate both larger versions of that image, and the uncropped original. TinEye can handle some editing, showing you matches even when backgrounds have been changed or features replaced (although of course this all depends on how far the editing goes). These abilities usually help you find more hi-res images than you’ll get from Google, yet in our experience they’re also quite precise. You don’t have to wade through pages of unrelated images to find the right ones: the selections you get are generally very good matches. If you suspect the original image has been very closely cropped -- a head and shoulder shot taken from a larger picture -- then TinEye’s "Most Changed" view may help. This shows you pictures which are possible matches, but also are the most visually different to the original, so may pick up extreme cropping or other major edits. This can be particularly useful if you’re looking for sites reusing your own images, as you can track them down even after some editing. You’re able to explore image usage further by looking for both the earliest and latest versions, which also might help you understand how they’ve spread around the web. TinEye Reverse Image Search is a free extension for Google Chrome, or you can access the search engine directly and find other browser addons at tineye.com.